What are the different types of Medical Malpractice coverage available and what are the general/significant differences? There are really only two types of policies that are available for physicians. One is a claims-made policy which is the type used the most by carriers. The other is an occurrence form policy. The main difference between a claims-made policy and an occurrence form policy is the way claims are reported. A claims-made policy covers you for any covered claim provided you were insured when the claim was made and the claim occurs after the retroactive date on the policy. With a claims-made policy, an insured must report claims in the policy year they were informed of the claim subject to the policy’s retroactive date. For example, if a physician has a claim filed against them in 2010 but the claim occurred in 2005, the claim would still fall to their 2010 policy as long as their policy has a retroactive date on or before the claim. If you stop purchasing claims made coverage or coverage at all, you will need to purchase a tail for your previous exposure. Also, when switching carriers, you must keep your retroactive date in place to ensure you have you prior liabilities covered. An occurrence policy covers you for any covered claim occurring while the policy is in force. In an occurrence form policy, claims are reported to the policy year the claim occurred. As with the previous example, if a physician receives a claim notice in 2010 for an incident that occurred in 2005, the occurrence form policy would have the claim picked up by the 2005 policy that was in effect. With an occurrence policy, it does not matter if you are covered when the suit is brought – you must be covered at the date of the occurrence/treatment. There is no need for tail on an occurrence policy. Note that occurrence coverage is not widely available. Most markets still only offer claims-made coverage. Your retroactive date is the start date of the first claims-made policy you are actively renewing. You are covered for any covered claim as long as it occurs on or after your retroactive date (also known as prior acts date). That date should remain the same as long as you are purchasing claims-made coverage. If you have a prior acts date of 2008 on your policy and it is now 2013, your policy covers you for the last five years. Your retroactive date is also portable. If you are currently insured with a carrier for professional liability, you can request prior acts coverage with the new carrier and keep your retroactive date intact. What is a claims trigger? A claims trigger is what causes a carrier to recognize a claim. There are two common triggers: written demand and incident-sensitive trigger. With a written demand trigger, the insured must have an actual suit from a claimant for the policy to begin coverage. With an incident sensitive trigger, the insured can report any incident they feel may give rise to a claim regardless of having received an actual demand from a claimant. What is “tail coverage” and how does it work? The tail is actually called an Extended Reporting Period (or ERP, for short). The tail gets its name because it becomes active after your policy has terminated (that is, you only purchase the tail endorsement when you terminate a claims-made policy). The “tail” endorsement allows you to report claims that come in after the policy is terminated. For example: You buy a claims-made policy in 2008. You terminate the policy in 2015 and buy the tail. The tail allows you to report claims that are brought against you after you cancel the policy, as long as the claim occurred after your retroactive date and prior to your termination date. Prior acts are those acts, incidents, claims, etc. that occurred after the retroactive date and before the current policy period. Coverage ends at 12:01 am of the date of expiration. In other words, if your policy expires July 1 – you have no coverage the day of July 1. The renewal process needs to be wrapped up June 30 to afford you coverage for July 1. Please keep this in mind if you ever have to cancel a policy as well. If you will be working the day of July 1, you will need to be canceled July 2. What is the “statute of limitation” and how does it work/apply. Is it state specific? statute of limitation sets for the maximum time after an event that legal proceedings based on an event may be initiated. Each state has its own specific statutes in place. $1M/$3M is a way that limits are shown. In this case, the first $1M refer to a per-claim limit. That means that $1M is the most that will be paid out for one claims. The second number, $3M, typically refers to an aggregate. The $3M shown here probably would refer to a policy aggregate which means that is the most a policy will pay out in a year. In this case, you can have three $1M claims and the policy would have exhausted its limits. 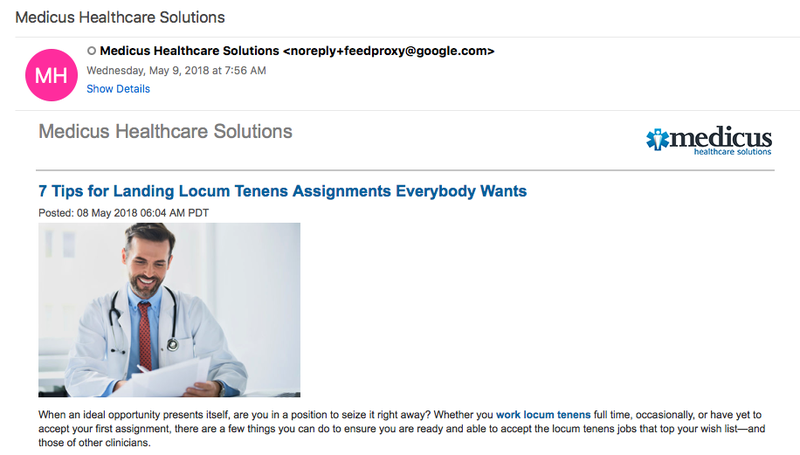 Many locum tenens policies have a physician aggregate, a patient aggregate and a policy aggregate to ensure that claims are paid out fairly and favorably.